Dissolving a marriage is never an easy choice. Not only do you have a myriad emotions surrounding the end of the marriage, the property and debts must be divided, support may be needed and frequently there are children to consider. At the law office of Paula J. Burnstein, P.C., we understand what you are going through. You can trust us to provide sound legal advice that comes from practicing family law for more than two decades. But more importantly, you will be working with an Arizona and Maricopa County family law attorney who cares about you and wants to provide the best outcome possible. Whether you need a personal advocate to help you navigate through your divorce or you’re dealing with post-decree issues such as enforcement of spousal maintenance, child support, or parenting time, Paula J. Burnstein is the family law attorney who can provide the solutions you seek. She also provides expert legal support for grand­parents’ visitation rights, third-party parenting issues, and child-abduction cases. We are your first—and only—choice for compassionate, knowledgeable family law services in Phoenix and other areas in the State of Arizona. You have questions, concerns, and app­re­hensions about your situation. We’re here to help. It only takes 5 minutes to schedule your free 15-minute phone consultation. Just fill out and submit this form to let us know how and when to reach you for your free phone consultation. We will do our best to accommodate your schedule so you can connect personally with our experienced family law attorney. During your consultation, we’ll begin to learn about your situation and how we can help. We will provide some education so you know more about the legal process. We will learn how we can support you through this challenging time to achieve a positive result. Extensive experience: With more than 20 years of legal experience to her credit, Paula is a family law attorney with deep knowledge of the Arizona legal process. Our firm will approach your family law case with an eye on your immediate circumstances as well as your future. Flexible service: Our two decades of experience affords us the ability to manage your case in however you need our services. Whether that means nego­tia­tions, medi­ation, colla­bor­ation, or litigation in family court, we provide you with the effective legal representation that is appropriate for you. Personalized attention: When you retain the law firm of Paula J. Burn­stein, P.C., your ques­tions will be ans­wered directly by our family law attorney. We build our attorney-client re­lation­ships on a foun­dation of trust and communication. Collaborative divorce: If you wish to avoid court processes, our collaborative divorce services allow you to reach an amicable solution without litigation and court appearances. Alternative Dispute Resolution: If your case is not appropriate for a collaborative divorce, it may be settled in alternative dispute resolution, which is offered by the Maricopa County Court free of charge under certain circumstances. Litigation: The family law firm of Paula J. Burnstein, P.C. has been litigating cases for 20 years and is prepared to take your case to trial whenever it is necessary. Divorce Proceedings: Our Phoenix divorce lawyer can help you dissolve your marriage in a family-first approach that helps you obtain fair property and debt distribution, as well as spousal support, child support, and parenting plans. Paternity Proceedings: If you are unmarried yet have minor children, paternity proceedings allow you, as your children’s biological father, to be legally included in decisions that affect your children’s future. Or if you are the residential parent, to receive child support. Legal Decision Making Authority and Parenting Time: As a parent, your children are the center of your world, and after a marriage ends, you want to protect them as you remain actively involved in their lives. We prepare parenting plans with your family’s unique circumstances in mind. 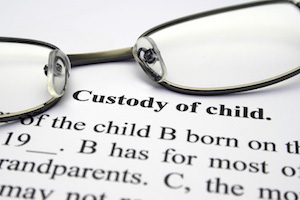 Interstate Custody Proceedings: The Uniform Child Custody Jurisdiction and Enforcement Act governs interstate custody proceedings. Our firm has experience litigating on behalf of clients in interstate custody and parenting-time cases. Hague Convention / International Child Abduction Cases: We have represented clients in complex international custody cases governed by the Hague Convention, and we can assist parents who live abroad reunite with their children living in the United States or defend against international custody claims. Child Support: We calculate child support pursuant to the Arizona Child Support Guidelines, taking into consideration the nuances that affect each case. Spousal Maintenance: Your fiscal security is important, and we ensure proper spousal support that is equitable for our clients. Post-Judgment Modifications: Situations change following a divorce, whether for the former spouses or their children. Our family law firm advocates for your family following the dissolution of the marriage, whether through mediation, collaboration, or court proceedings. Orders of Protection: An order of protection helps keep individuals safe during issues of domestic violence. We establish orders of protection as well as quash those that have been wrongfully issued and appear at hearings regarding orders of protection. 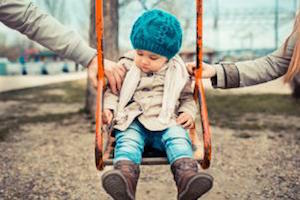 Grandparent Visitation Right: In Arizona under certain circumstances, grandparents are entitled to an order from the court allowing them to have visitation with their grandchildren. If you are prohibited from contact with your grandchildren, call Paula J. Burnstein, P.C. to discuss your rights. Unbundled Services: We provide limited scope representation and unbundled services. If you need an attorney to do a limited amount of work, but not represent you in the entirety of your proceeding, Paula J. Burnstein can assist you.